As an old Chinese proverb puts it: “Reading ten thousand books is not as useful as traveling ten thousand miles.” There’s no teacher like experience, so we asked our friends on social media to tell us what their experience of the city’s schools might teach others, when it comes to those all-important decisions about our children’s education. This is what we learned. Find out what languages are used for teaching. What standard is your child’s second language? If you’re new to Beijing, and they’re only beginning in Chinese, you don’t want them falling behind in other subjects because they don’t understand the lesson. On the other hand, hearing two languages in the classroom can do wonders for their learning. And if they’ve been studying Chinese for a while, will they be put in a class with beginners? Respect for education is deeply embedded in thousands of years of Chinese culture, and this creates an environment where kids can excel academically. However, the flip side can be the belief that the more education you get the better, and this is not necessarily the case. To develop and flourish, children need to be intellectually challenged and stimulated, but they also need time to play, space to create unsupervised, and plenty of fresh air and sunshine. The Chinese government is currently locked in a battle with this culture over the issue of homework. Academic research suggests there’s little value in homework for younger children, and that work should take no longer than ten minutes per grade per night. Despite this, ambitious parents push for more and more homework, and educators give in, ignoring the various edicts issued by Beijing. Don’t get us wrong, appropriate homework can be a great tool to support learning, and independent study is essential for older children working towards exams and to complete coursework. But if younger children are spending a couple of hours a night on their homework, then it’s worth asking what the purpose of it is. Different languages, different educational and cultural backgrounds, different expectations… if this is a challenge for the students, it’s a nightmare for the teachers. Do they have the structures, skills, and support to make sure every child is learning at an appropriate level? Or do they stubbornly “teach to the middle”, so that the more able are bored and the less able left behind? If you’ve moved to another country with your family, you probably want your children to learn and study in an international environment, with the opportunity to make friends from different cultures and backgrounds. However, the reality is that there are more schools chasing a smaller pool of international students. Even schools that only accept foreign passport holders have an increasing proportion of students from a Chinese cultural and linguistic background. Some kids will thrive in this environment and learn quickly. Others may feel isolated. Many schools have no effective bullying policy because they don’t like to admit to prospective parents that such a thing might even take place. However, bullying is endemic in all large institutions, among adults as well as children, and pretending it can’t happen in your school is tantamount to endorsing it. Find out what will happen if your child has a problem – and bear in mind, unpleasant as it may be, that your child may be among the bullies rather than the bullied. The second parent quoted above was joking, obviously. Investing in our children’s future is the most important financial investment we make. But all those top-class teachers and wonderful facilities don’t come cheap. Beijing has the second highest school fees in the world, and if you’re not lucky enough to work for a company which covers them, then what you can afford is likely to be a determining factor in which school you choose. Many schools offer scholarships or discounted rates for parents on lower incomes. It’s always worth asking and negotiating. But in a country where people often invest in their children instead of a pension fund, when they assess your spare income they’re likely to ask you to dig deeper than you might find comfortable. All kids are different. And all schools are different. The problem with academic league tables is that average grades conceal the students who excelled, and the students who struggled. In researching this article we talked to parents who had problems leading to them moving their child out of one school, while other parents praised that same school to the skies. 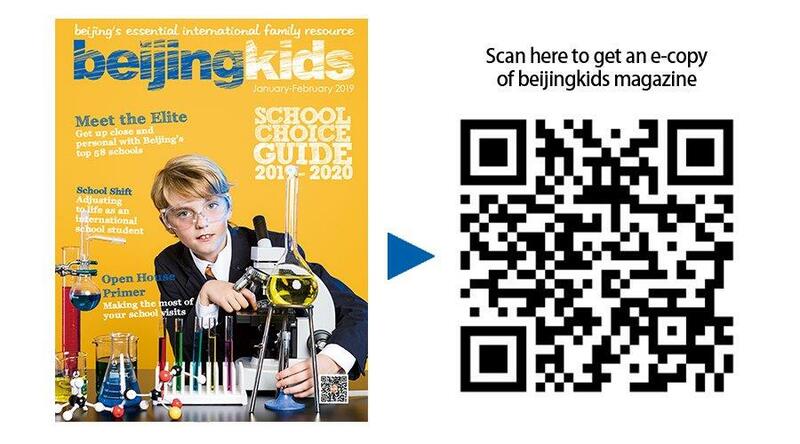 In the end, there is no “best school in Beijing”. There’s just the best school for your child, for you as a family. And the way to find it is probably to whittle your choices down to a shortlist, then visit those schools. If you like a place at an open house, see if you can visit on an ordinary day, to get past the marketing gloss to the real spirit of the place. Trust your instincts. Nobody knows your child like you do… and nobody else can tell you what’s best for them.